There are two snap sizes to fit most wrists. 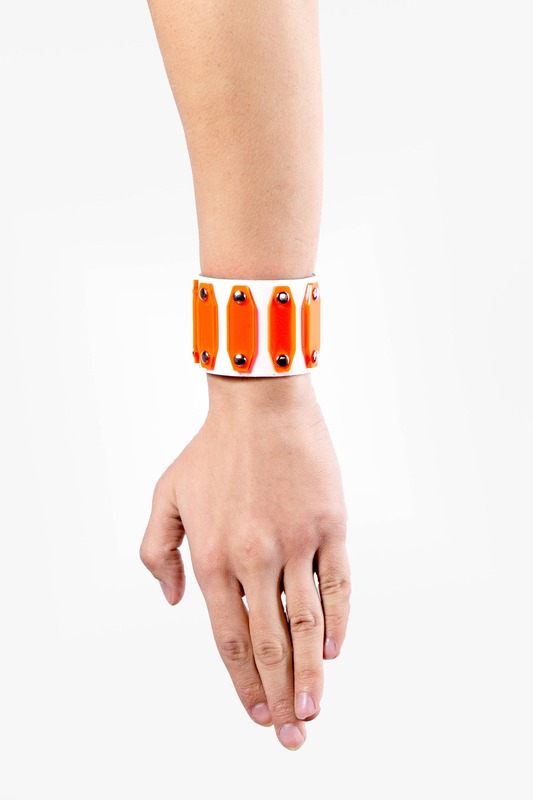 The plexiglass used in these cuff is semi-transparent and highly fluorescent. 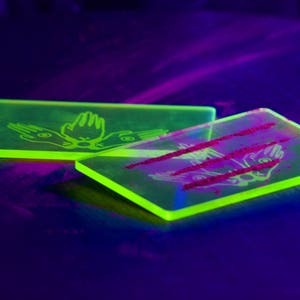 The material glows when it comes into contact with any kind of blueish light, such as that found in night clubs, at sunset, or anywhere that has RGB LED's.